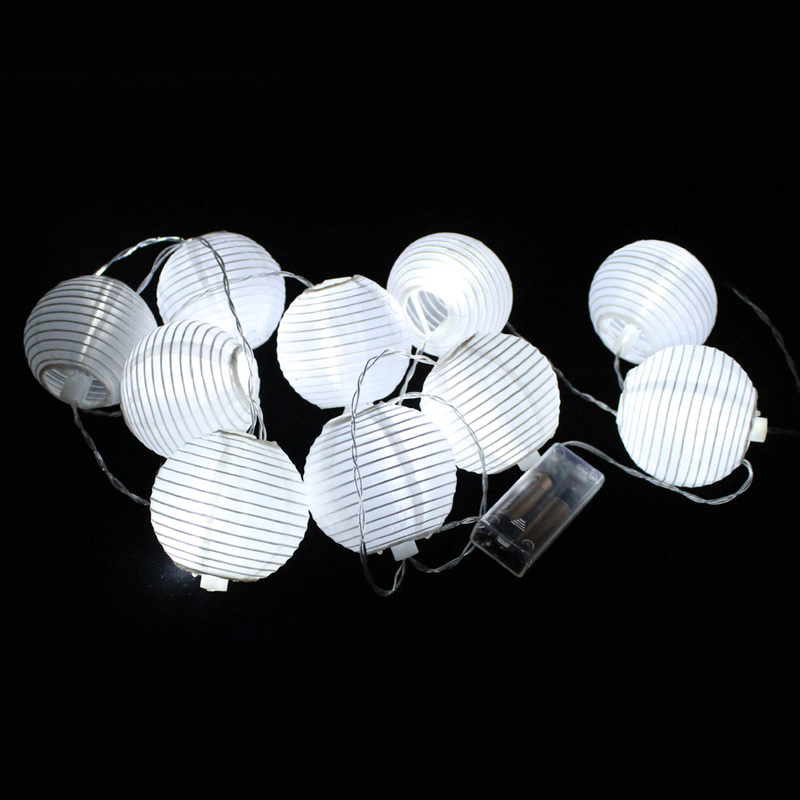 Create the perfect hanging light decoration with our lantern string lights. Our lantern strands have 10 3" lanterns per strand. Each lantern is a white paper lantern in an oriental style and can be linked together. Each strand is 10 yards. On/ Off switch on battery pack.